Please find solutions to our most frequently asked support questions below. We kindly ask that you read through this list before sending us a support email. When sending a support email, please be sure to include your device (generation), iOS or Android version and Game Center nickname. We do not provide support for jailbroken devices! Q: How to manually transfer data from your old iPhone to your new iPhone? Ａ: Warning!!! This process will replace all the data in your new iPhone, iPod or iTouch. Warning!!! Step 1.Plug your current iPhone/iPad/iTouch into your computer and open iTunes. Step 2.Click on the device name in the top right corner of iTunes. and Press the "backup now" button. Step 3.Unplug your current iPhone and plug in your new iPhone. Step 4.You'll be asked to register your iPhone if you haven't already. Step 5.iTunes should prompt you to do one of two things, set up as a new iPhone or restore from a backup. Choose to restore from a backup and select the backup you just made. Step 6.Once the restore is done your iPhone will reboot. 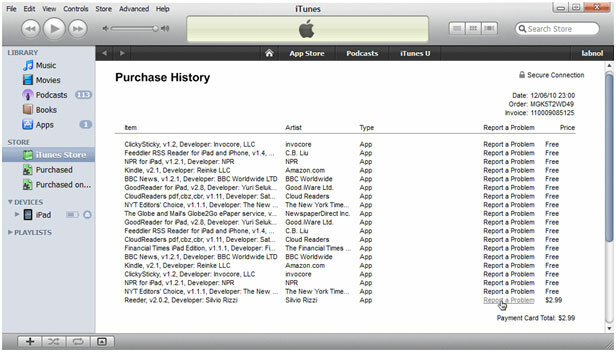 When iTunes detects it again it will start to sync back any apps and games your old iPhone had installed. Step 7.Let iTunes do its thing. When you come back, your new phone should have all the same settings and data as your old one! Q: How do I request a refund for charges for iOS Games? The iTunes App store sales policy clearly says that you cannot cancel a purchase or receive a refund for a purchase but they are known to make exceptions if you have a valid reason. 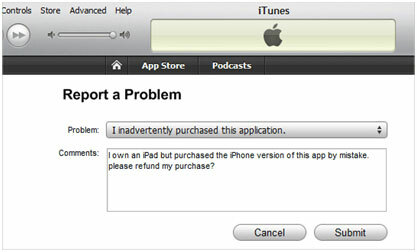 Step 1: Locate the email receipt for your iTunes Store purchase and click the “Report Problem” link next to the app that you would like to return. 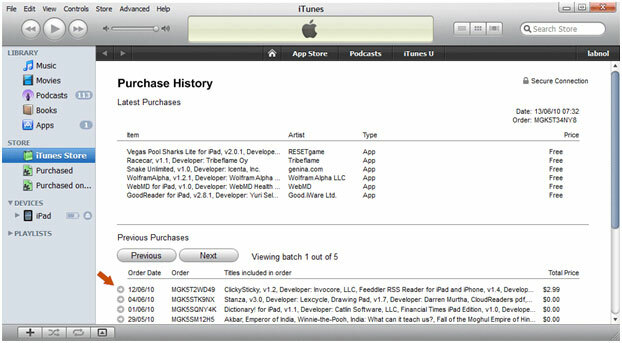 If you have deleted the email invoice that Apple sent you after you completed the purchase, launch the iTunes program using this special link and you’ll see a list of all items that you’ve bought from the iTunes store. Open an order by clicking that little arrow next to the order date and then click report a problem next to the app name. If the above method fails, or if you don’t have iTunes on your computer, you can use this page to submit a refund request to Apple through any web browser. You can expect a response from Apple in the next 24-48 hours. If the support rep is satisfied with your reasoning, he'll probably reverse the charges. Please remember that you are not entitled to a refund under the iTunes Store Sales policy so if they deny your request for a refund, move on! Ｑ:How can I disable in-app purchases? Ｑ:I entered my password once to download an app or to buy only one item. Why does my iTunes bill shows multiple purchases made on the same day? Ａ:By default, Apple’s iOS allows multiple purchases inside a 15-minute window once you enter your password. To avoid unintended purchases in the future, you can change your settings to require a password with every purchase. Ｑ:I’m unable to make in-app purchases. ‧ Tap your “Settings” icon. 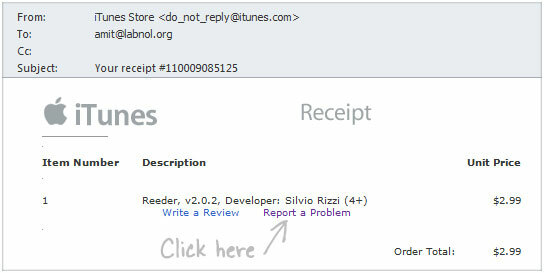 ‧ Next, make sure your billing account information in iTunes is up to date. If you are still having issues, it may be caused by poor connectivity during the purchase attempt. Please make sure your device is connected to either WiFi or your cellular network (Verizon, AT&T, Sprint, etc.). Lastly, please ensure you have the correct date/time settings on your device. ‧ Select “Date & Time” and ensure that the Time Zone/Time and Date are correct. Ａ:Touch and hold an app icon on the Home screen until the icons start to jiggle. ‧ Tap the “x” in the upper left hand corner of the icon for the application you wish to remove. A pop-up will ask you to confirm the deletion. ‧ Press the Home button to return to normal. ‧ Press the home button again twice. You’ll see a tray of recently used App Icons appear at the bottom of the screen. ‧ Touch and hold an app icon in the tray, until the icons start to jiggle. ‧ Tap the “-” in the upper left hand corner of the icon for the application you wish to force quit. The app icon will disappear from the recently used tray. Ａ:Press and hold the Home button, then simultaneously press the Sleep/Wake button. Your screen flashes and the picture will appear in your Camera Roll. Ａ:Press and hold the Sleep/Wake button until the red slider appears. Slide your finger across the slider to turn off iPhone. To turn iPhone back on, press and hold the Sleep/Wake button until the Apple logo appears. Ｑ:How do I report a bug I found in the game? Ｑ:How do I restrict in-app purchases for Android devices? Note: These instructions may vary depending on which Android device you are using and what operating system is installed. Ｑ:How do I force stop my app? Note: These instructions may vary depending on which Android device you are using. 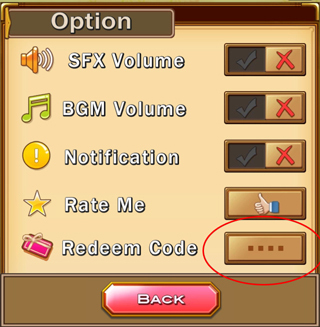 Ｑ:How can I use the redemption code in Bulu Monster?